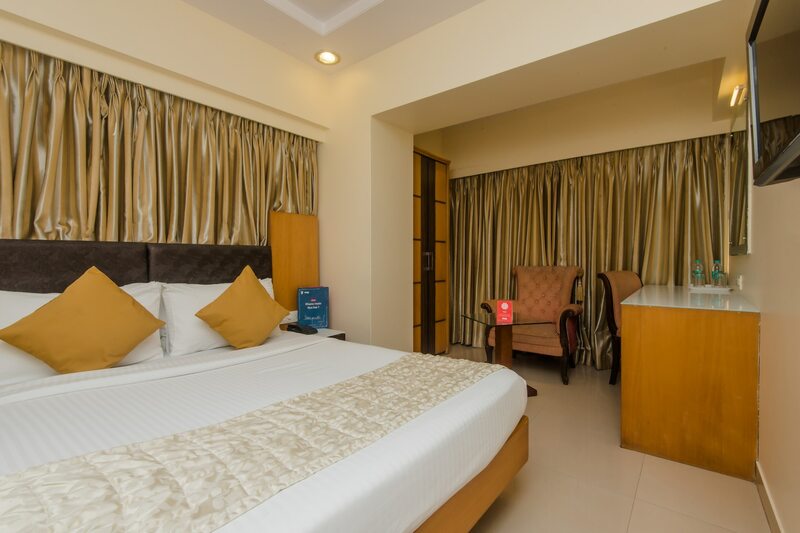 Close proximity to Mumbais landmarks like Chhatrapati Shivaji international Airport and Andheri station make Hotel Grace Residency an ideal choice for accommodation. With a simple and beautiful external architecture, the hotel has a stylishly decorated interior and an inviting ambience. The bedrooms at the hotel appear warm and comfortable with light colored walls, woof furnishings and large windows that let ample sunlight filter in. The hotel has a rooftop dining area which is ideal to spend some time with family, friends or even alone while enjoying the cool breeze. The free Wi-Fi provided by the hotel ensures that the guests can remain in contact with the social world and not miss any important update. Other amenities offered by the hotel are a geyser, a hair dryer, a mini fridge, laundry facility and a card payment option.